Cake Quest is a fantastic free match 3 styled game. 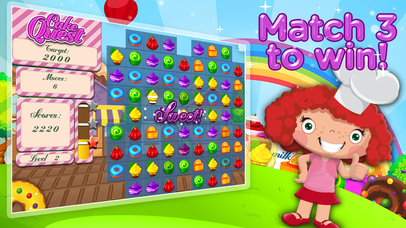 Your goal is to match the cakes to each other and complete the targets in the moves given. Match more than 3 cakes to activate the power-ups within the game and progress to the next level with moves spare to get bonus points and score the highest score you can! 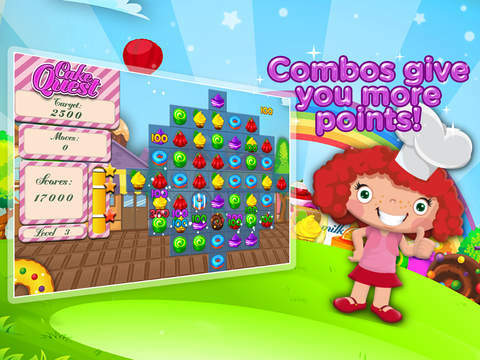 Classic game to match 3 of the same items to clear the cakes. Gameplay everyone will be used to, Filled with new and old methods to complete each level. 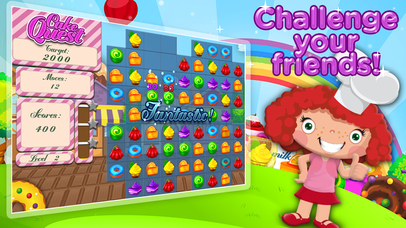 - Over 45 fantastic levels. - Insane power-ups for matching 4 or more cakes. 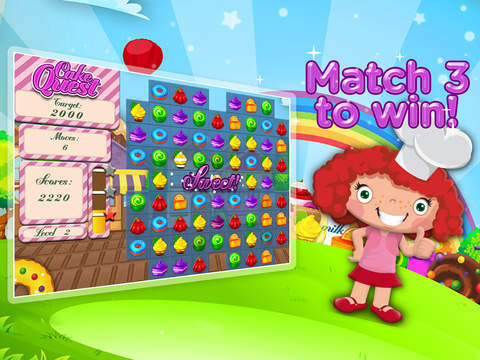 - Become the best Match 3 player around!